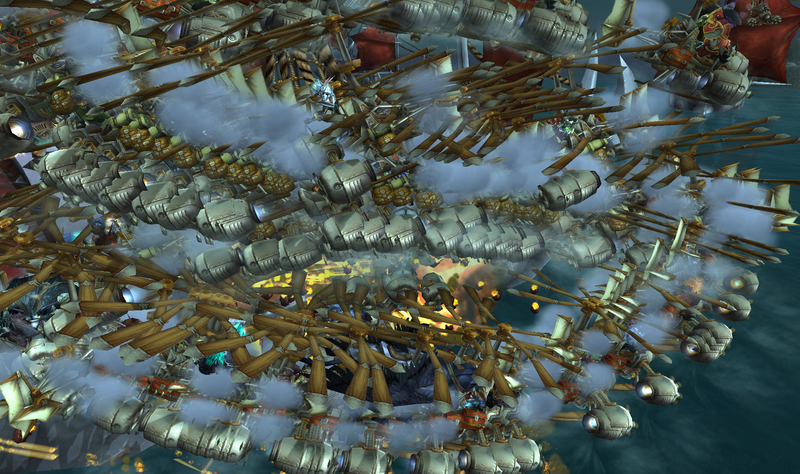 Back when there was a great furor about the availability of Brawler’s Guild invites, I didn’t really get involved. It sounded interesting in passing but not something I would really get into (I said at the time). 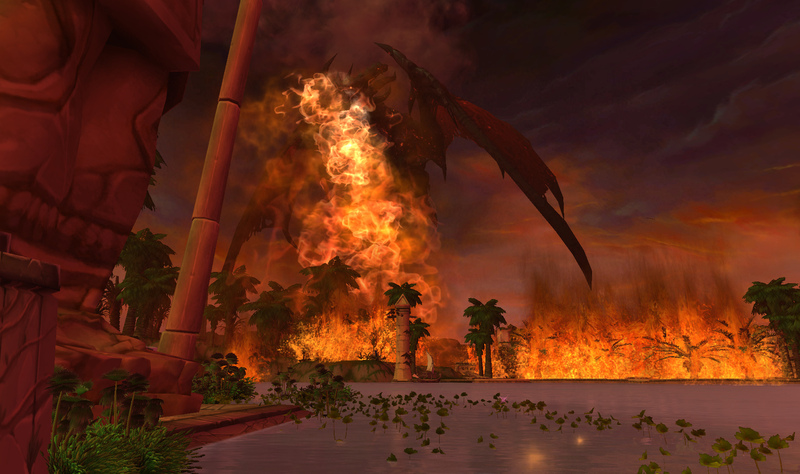 As far as the invites themselves went, I could afford to buy one on the BMAH if I wanted to get one, but I figured “Why would I bother?” I had friends who were really into soloing PvE stuff and I knew that they would be all over it but it didn’t seem like my cup of tea. I did end up buying an invite when they were available and then I sat on it for weeks. (Sorry folks, I really meant to use it, I wasn’t trying to be a jerk). I could never quite work up the nerve to actually go and do one single fight, though. Something about the idea of it just freaked me out, and it didn’t help that the first night I’d gone (the night I had the invite) I saw a lot of heckling and chatter. I didn’t want to be the focus of that potentially negative attention. Then I saw that Vosskah was brawling the other day and he was having a blast. I was quietly intrigued. 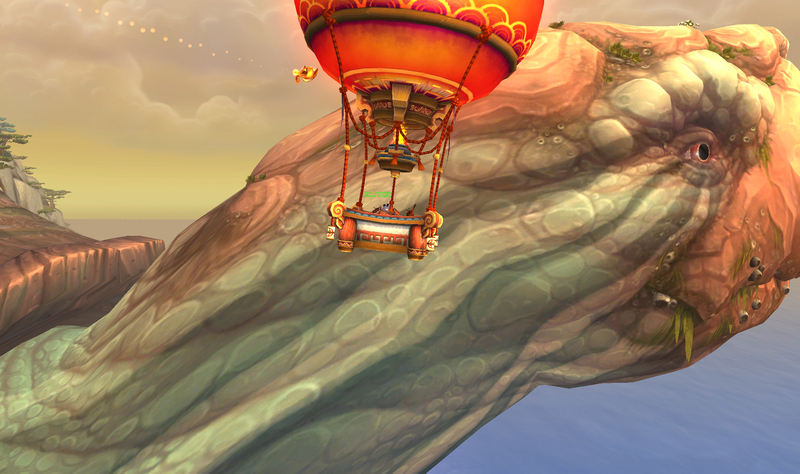 I asked if he’d go and do the Brawler’s Guild stuff with me in case there were any hecklers or people being jerks. So we dropped by the tram on Sunday morning and I watched a few matches to see what the whole thing was about, and then put my name in line for a fight. I didn’t know anything about each fight before it began, which I think adds to the fun of it. A few fights I had seen previewed as other people had done them which gave me some insight into how they operated. Most of the fights are similar to your average boss fight, especially the ones at early difficulty levels. This guy does this one thing that you get out of, or you have to to interrupt this other thing, etc. The PvE stuff was fun, but on top of that I particularly enjoyed the little community that had sprung up around the brawlers gathered there. 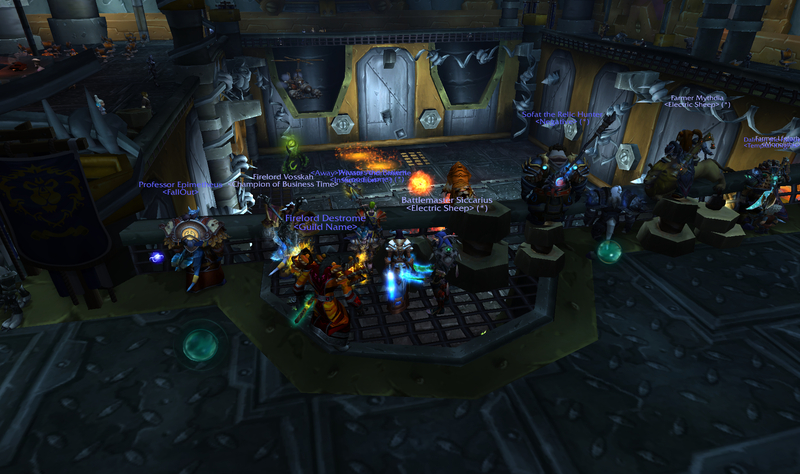 I was invited quite early on to a “buff group,” a raid that people hang out in and buff each other before their fights. They will also rez you if you lose a match (I don’t think it’s far from the graveyard but this is still a nice touch). Far from being hecklers, all the people I encountered that day were super nice and encouraging to each other. People would tell each other “Good luck!” and commiserate after a lost match or offer encouragement or strats to people who were struggling. Other random stranger situations in Warcraft could take a lesson from these Brawler’s Guild folks – this is not your regular LFG or LFR group. I did have one random guy, and I’m not entirely sure why – he /cheered at me (you get an achievement) after I had won a match, and then he /spit on me. I guess he wanted to make it clear he wasn’t ACTUALLY cheering for me, but had just wanted the achievement. Whatever helps you sleep at night, buddy! I gave him the proverbial WoW finger /rude and he didn’t bother me or say anything else after that. I don’t know why he did it and I don’t really care. He was the one dark spot on an afternoon spent with largely encouraging and nice people. I had to stop for lunch somewhere around the middle of Rank 2 (I think). The last fight I did was a big dinosaur; think like the devilsaurs of old! He took a few chunks out of me but I emerged victorious. This was the first fight that had me yelping and hollering at my screen as I’m inclined to do. “Oh man! Whoa! Okay. AH!” (Gaming time gets exuberant around here. 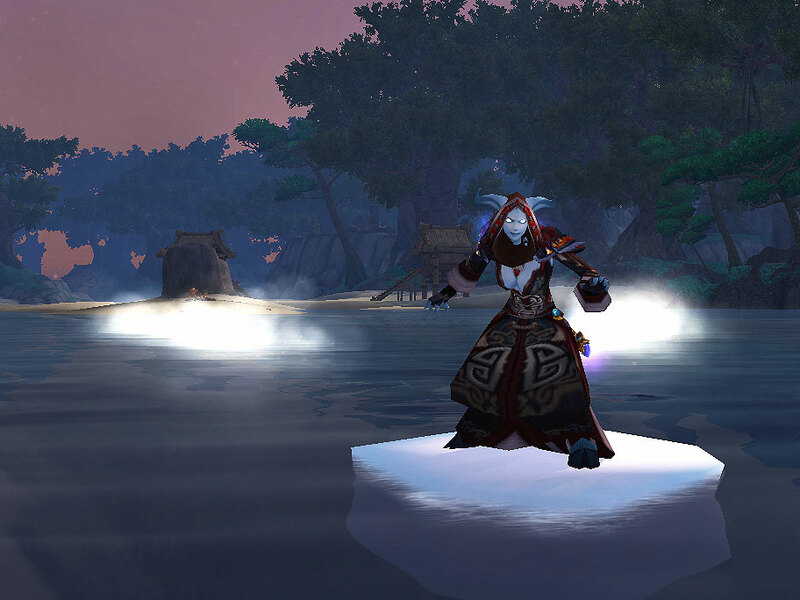 Mostly I only do this when I’ve pulled aggro from a tank). All of the other fights up until this point were reasonably easily kited, but this dinosaur was all RAWR and then CHOMP and he actually damaged me. From what I can tell, the difficulty level of the fights ramps up sharply by the time you hit Rank 7-8. A rogue in our little group was trying to do a fight where you’re facing a tiny robot and there are two sweeps of laser beams coming across the room the entire time. 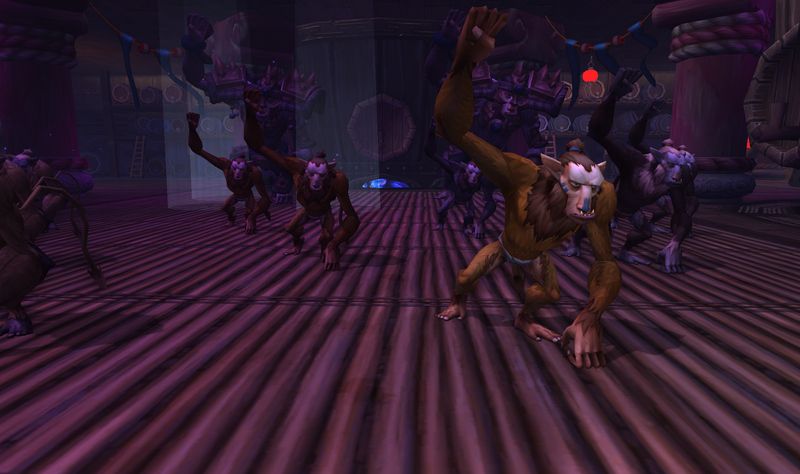 The Brawler’s Guild is probably the most entertaining thing to be added to the game recently (for me personally). 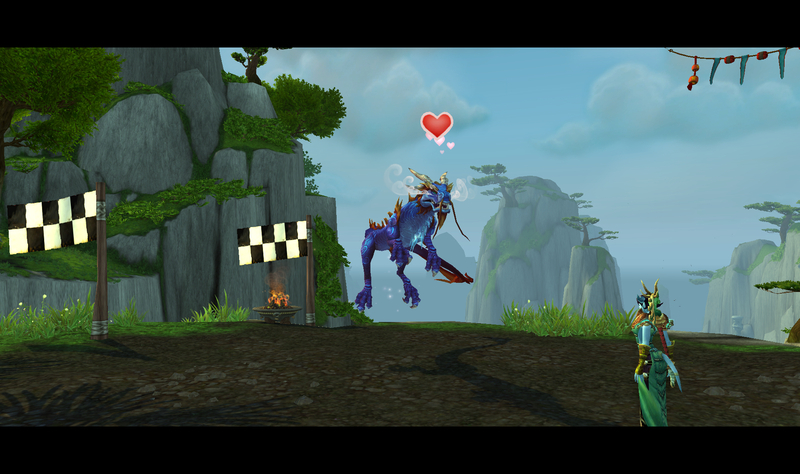 It gripped me in a way that pet battles haven’t, which is nothing at all against pet battles. I like being able to face off against a big bad using my magely wiles and with nothing between me and the monster but some fireballs. I look forward to the next time I get a chance to drop by and move up in the ranks somewhat. If I can get to rank 7, I get an invite to give to a friend!